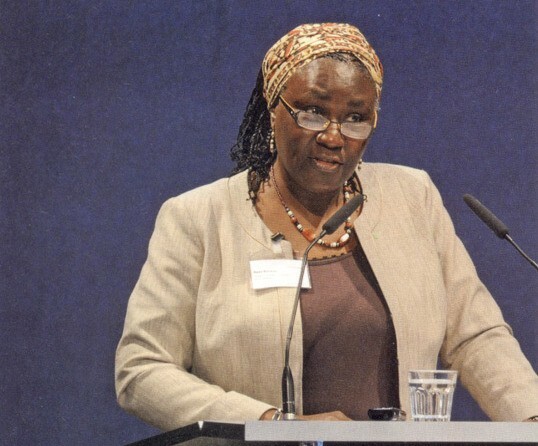 Nigeria Elections 2015: Who is Comfort Remi Sonaiya, the Only Female Presidential Candidate? The exit poll reports in Nigeria found that Remi Sonaiya was the third favourite presidential candidate. Among 14 candidates that will be battling for the presidential seat in the upcoming general elections in Nigeria on 28 March, there is one name that makes heads turn ― Comfort Remi Sonaiya. While incumbent President Goodluck Jonathan and lead Opposition candidate Major-General Muhammadu Buhari have emerged as the two strong contenders for the polls, Sonaiya came out as the third favourite presidential candidate, according to Nigerian Eye report. Despite being the only female presidential competitor in the long list of men, Sonaiya is seen as a deserving candidate. The 60-year-old linguistic professor has time and again attacked two of the leading parties in Nigeria ― Jonathan's People's Democratic Party and Buhari's All Progressives Congress ― not only for the corruption, but also for their stances over representation for women. Remi Sonaiya, the candidate for Kowa party, has promised to change the politics in Nigeria in a recent interview, pointing out that Nigerian women are deliberately being kept out of politics. In one of her oft quoted statements, she compared her dream with that of US President Barack Obama. "I have a stake in Nigeria. I am qualified to run for the presidency of Nigeria...Like what Barack Obama said, he thought there was a skinny little black boy who thought that America had room for him. Well, this not so skinny woman thinks that Nigeria has a place for her, at the leadership level also," she had once told Channels TV. Sonaiya, who has a PhD from the Ivy league, Cornell University, (Ithaca, New York) in Linguistics, was also the first Nigerian to be appointed as Ambassador Scientist of Alexander von Humboldt Foundation, a position she occupied from 2008 to 2014. She is also an avid writer, blogger, columnist and a good rapper. The linguistic professor can speak French, German and Portuguese besides English and Yoruba.